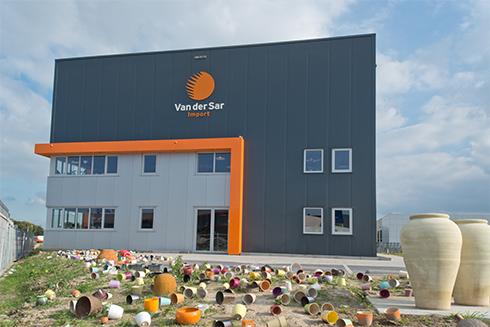 About us Van der Sar Import B.V.
Van der Sar Import is import / producer of pots, vases and bowls. We develop and produce our pots, vases and planters in collaboration with producers in Eastern Europe and a number of countries outside of Europe excepting China. We keep a close eye on the production process to ensure that we only produce top quality products. We are also well aware that that there are some unscrupulous producers out there that do not provide optimal working conditions for their workers, so we assume full responsibility to ensure this does not happen in our facilities. We accept our responsibility to help our factories produce more effectively and efficiently while also considering social and environmental issues. Our products are sold by plant export companies, wholesale florists, garden centres, retail chains, growers and agents throughout the world.